Only stranded vehicles were allowed to move on the Jammu-Srinagar highway on Wednesday to decongest the road, a traffic department official said. “All stranded vehicles heading towards Srinagar are being allowed. A decision to allow traffic towards Jammu will be taken only later. Our main aim right now is to completely decongest the highway,” the official said. 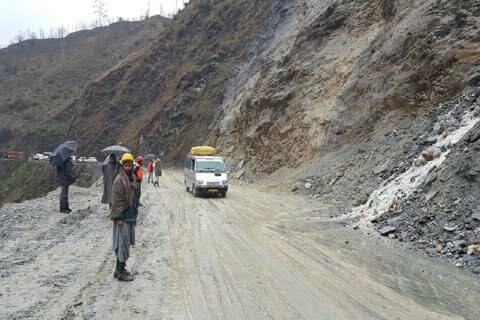 One-way traffic was scheduled to move normally from Srinagar to Jammu on Wednesday, however, bottlenecks and temporary blockades since Tuesday hindered all vehicles headed for the valley to cross the Jawahar Tunnel on time. Authorities were trying to ensure that there were no further traffic congestion on the nearly 300-km long road.